My step-daughter, Erin Simms, is about to associate produce her first Hollywood movie, “A Walk in the Woods” written by Bill Bryson. Starring Erin’s boss, Robert Redford, along with Nick Nolte and featuring the magnificent Appalachian Trail, this buddy comedy will have you lacing your hiking boots and grabbing your knapsacks faster than you can say Easy Roasted Chicken Noodle Soup. If you aren’t fond of handling raw chicken, yet love a delicious homemade chicken soup, stop by your favourite BBQ chicken vendor and then grab your chopping knife. Cover the bones with water in a large pot. Toss in any extra frozen chicken bones you have in your freezer. Bring to a boil then simmer for an hour. Discard the bones and add the onion, carrot, celery, thyme, and a little salt and pepper to the stock. Simmer, covered for 20 minutes, then add the noodles. Cook 5 minutes then add chicken and simmer for 5 minutes more. Season with salt and pepper. Garnish with dill. Serves 6. 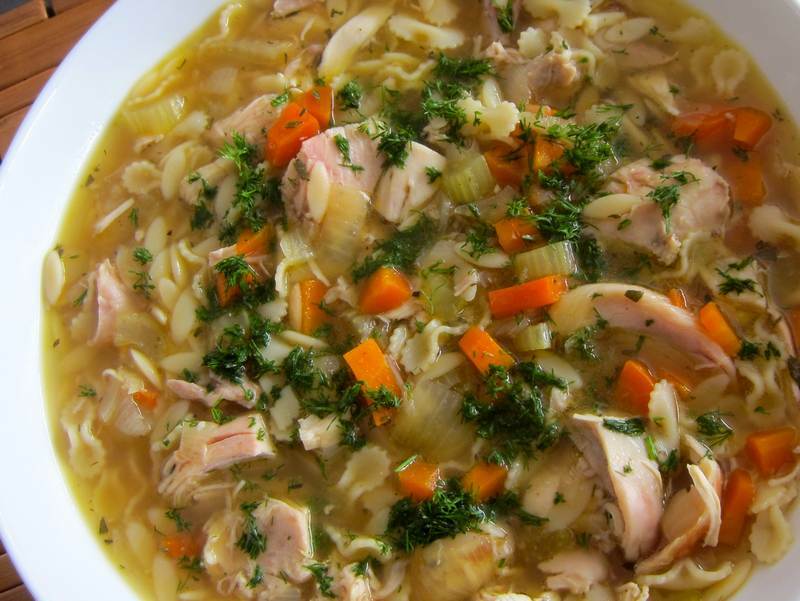 Chef Michael Smith is the genius behind this Roasted Chicken Noodle Soup. Take a look at these photos of the Appalachian Trails to put you in the mood for nature. Looking for exercises that will prepare you for hiking? 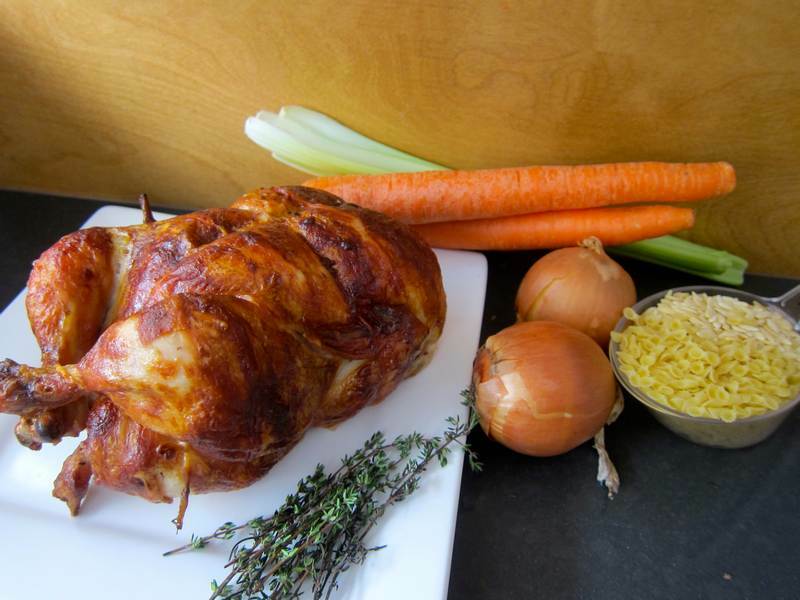 Love the idea of “not” cooking your own chicken….great recipe! I wonder if all the really smart cooks have been quietly doing this forever. personally I would have eaten all the skin off the chicken and then lost interest in making the soup! But the skin is the secret ingredient that gives the soup so much flavour. And in my case practically no fat. Go figure. That is so exciting about Erin!!!! You must be so proud. Thanks! We are proud. Her hard work is paying off.